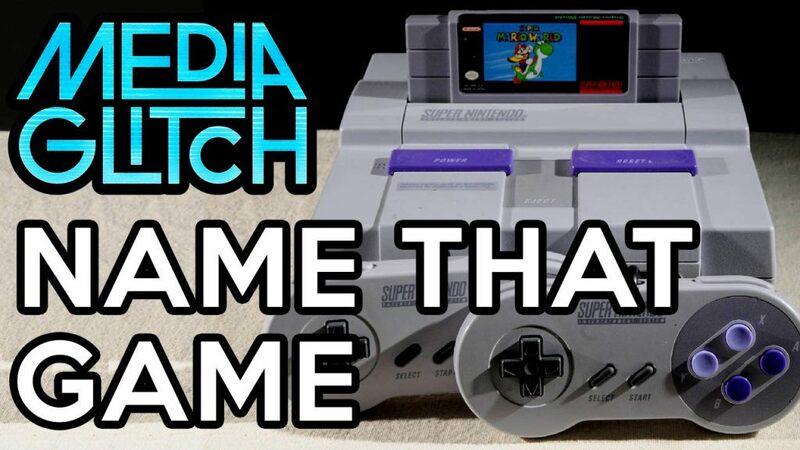 Heres a little trivia/ quiz to test your knowledge of video games on the Super Nintendo. Keep score and let us know in the comment section below how many points you got. media glitch, video games, Joel Vallie, retro, vintage, old school, video game reviews, reviews, playstation 4, playstation 2, playstation, playstation plus, free games, playstation 3, psn, ps3, ps4, ps2, ps1, nintendo switch, xboxone, jrpg, rpg, action rpg, fps, turbo graphic 16, sega, sega mastersystem, genesis, saturn, nes classic, nes, snes, super nintendo, super nintendo,snes,trivia,game,quiz,music,best,games,videogames,stage,grapics,gameplay,footage,hd,los video juegos,mejor musica,adivinar el video juego,video game quiz,video game trivia,super nintendo trivia,snes trivia,super nintendo quiz,snes quiz,retro quiz,how well do you know,test your skills,retro video game trivia,classic snes,anounced,lineup,classic snes editionHave you ever wondered “what does mario mean” “what does sonic mean” “what does kirby mean” “what does link mean” “what does zelda mean” “why is link named link” “why is zelda named zelda” “why is snake named snake” what is”crash bandicoots history” or the “history of pac-man” or the “history of sonic” or what are some “Pokemon name origins” like “what does pikachu mean”? Then this video is for you!super nintendo,snes,gaming,dykgaming,did you know gaming,video games,nintendo,nes,super mario,super nintendo mario,snes games,snes music,best snes,top snes,super nintendo entertainment system (video game platform),mario,zelda,console,super famicom,super nes,projared,super mario world,mario world,mario all stars,link to the past,donkey kong country,chrono trigger,earthbound,super mario kart,super metroid,nes classic edition,game,best snes games,you The SNES is a gaming device developed by Nintendo. In its native country of Japan, the console is named the Super Famicom. The system is Nintendo’s second home console, following the Nintendo Entertainment System, or NES for short. It had similar success to its predecessor, and became the best-selling console of the 16-bit era globally. This was partly thanks to Nintendo’s all-star franchises such as Mario, Zelda, and Donkey Kong.